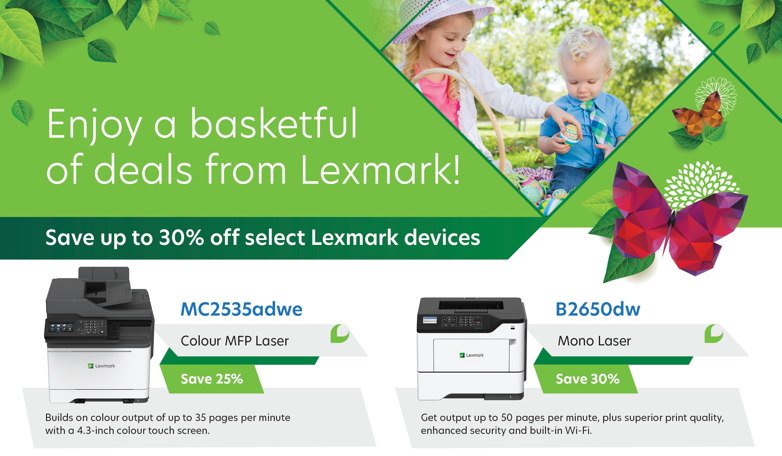 This is a list of specially priced new Lexmark Laser Printers at Commercial Laser Technologies for the month of April. CLT New and Refurbished Laser Printers! and Colour Laser Printers some with network and multi function capabilities!. Call us at (416) 789-9337 or toll free 800.258.2188 for more details or to purchase.